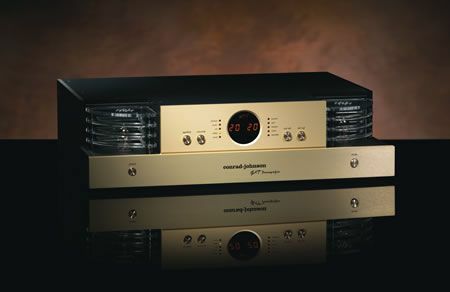 Line stage, RCA & XLR in & outputs, fully balanced with 2 signal paths per channel thru out the entire circuits, remote. Self biasing circuit for maximum performance. Rated output 2V, max 15V, output imp. 200 ohms, frequency response 5-100khz, S/N ratio 90db, weighs 26 lbs. It uses 12AX7 x1, 12AU7 x2. One EZ-90 rectifier tube offers faster recovery than solid-state diodes; it therefore enhances isolation to noise with cleaner power.